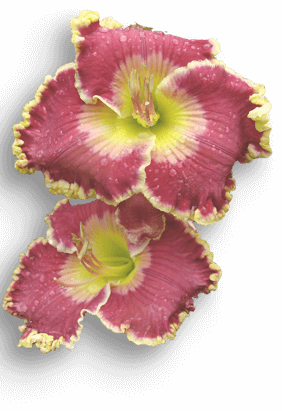 The American Daylily Society is pleased to offer two scholarships each year to qualified American Daylily Society members. Please see the complete information below for deadlines and criteria. The society also accepts applications for research grants from graduate or undergraduate students/faculty/staff using daylilies (plant genus Hemerocallis) as experimental organisms in an original research project. Information on submitting a proposal is provided below. Pests and diseases (e.g., crown rot, spring sickness, bulb mites, gall midge, daylily rust). Interested candidates should submit an outline of the research project describing background, goals, techniques and a budget. Students should send letters of recommendation from the candidate’s departmental chairperson and his/her thesis adviser/supervisor. Student research will be given priority but all proposals will be given serious consideration. You are welcome to begin the submission process by filling out our online form. Proposals received will be evaluated at one of two possible times each year, with deadlines for each period currently April 1 and September 1. “Proposal for a project to investigate control measures for the Hemerocallis Gall Midge”, Andrew Halstead of the Royal Horticultural Society. 2008-2010, $4,500. The project is more fully described on the RHS web site. “Dips, drenches and foliar applications of fungicides for management of daylily rust in field plantings”, James W. Buck of the University of Georgia Horticulture Department. 2010, $3,000. Results from study were published in: Dong, W.B. and Buck, James W. 2011. Report on the AHS-funded study of dips, drenches and foliar applications of fungicides for management of daylily rust. The Daylily Journal 66:10-12. “Characterization of daylily (Hemerocallis sp.) transcriptome using GS-FLX 454 pyrosequencing”, Neal Stewart (PI), Gisele Schoene and Yanhui Peng, Department of Plant Sciences, University of Tennessee, Knoxville, TN. 2011-2012, $3,000.00. The scholarship amount will be announced each year and will be based on the interest on the balance of funds in the endowment account, and donations that are made to the fund. For 2019, the amount available will be $8,000. In the event a scholarship is not awarded in a given year, the funds will be eligible for the following year. Eligible to any American Daylily Society member (no age requirement) with three or more years of membership. Eligible for members seeking a bachelor degree or postgraduate degree in any college or university to include on-line entities, provided it is accredited in the applicant’s chosen field. An applicant must demonstrate service to an ADS club or at an ADS regional level. Applicant must be an American Daylily Society youth member or a member not more than 19 years old. In either case, the applicant must have held youth status for two consecutive years prior the year the application is being submitted. Contact the Youth Chairman: Kathy D’Alessandro, 2076 Silo Lane, East Greenville, PA 18041 youth@daylilies.org if you need more information or have questions.